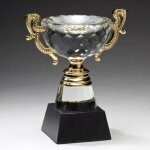 This beautiful crystal cup has goldtone accents. 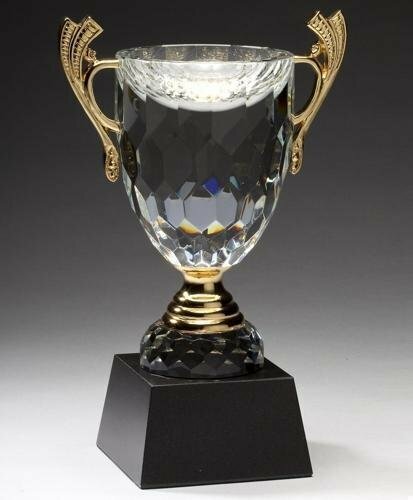 The crystal award is mounted on a black marble base that usually has some white or grey marbleing. 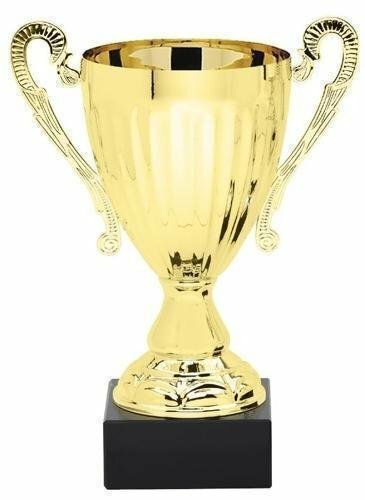 The optical crystal award is personalized with a laser engraved black brass plate with gold border. 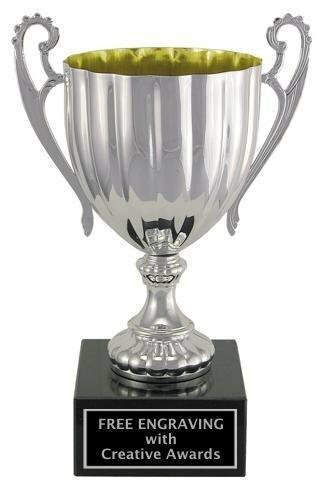 This beautiful crystal cup has silvertone accents. 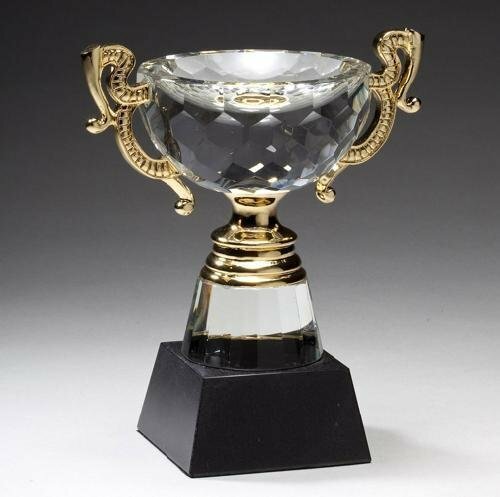 The crystal award is mounted on a black marble base that usually has some white or grey marbleing. 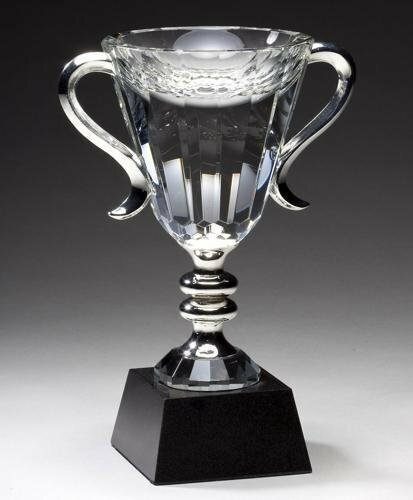 The optical crystal award is personalized with a laser engraved black aluminum plate with silver border.